This man featured in this article is Khun Phor Khao Wanchart Yeummik, I spent a brief but productive and moment with the Tiratana Group yesterday. Thank you to Ms. Catherine of Tiratana Jalan Penchala for inviting Phor Khao and giving me the opportunity to meet him. I would also like to thank Darren Hor, a dear friend for inviting me and gave me the opportunity to join such meritorious occasion. Phor Khao isn’t a famous healer or Archan. He isn’t famous for sakyant or making any amulets or kreung-rang that protects you from death or misfortunes or make you rich. He is to me, more powerful than all abovementioned. Phor Khao is a living example of “the boonyarit amulet more powerful than the most expensive Phra Somdej Wat Rakhang”. The “boonyarit” amulet that I have said before, you should never ignore. An efficacious amulet that is within our reach. Phor Khao is 60 years old now, 18 years ago in 1999, he had an accident and the doctors diagnosed him of terminal bone cancer. Though removed his shin bone yet he wasn’t recovering and doctors suggest that he amputate his entire left leg. Lying lifeless on the hospital bed waiting for his leg to be amputated, he was visited by his teacher, Phra Acharn Yud, a meditation monk teacher. All Phra Archan Yud said was, needn’t amputate, come and practise meditation on contemplation of body with me. Phor Khao accepted his teacher’s advised despite doctor’s warning that its last stage cancer and he will end up dying. That was 18 years ago, no medications, no chemotherapy and no medical intervention needed. 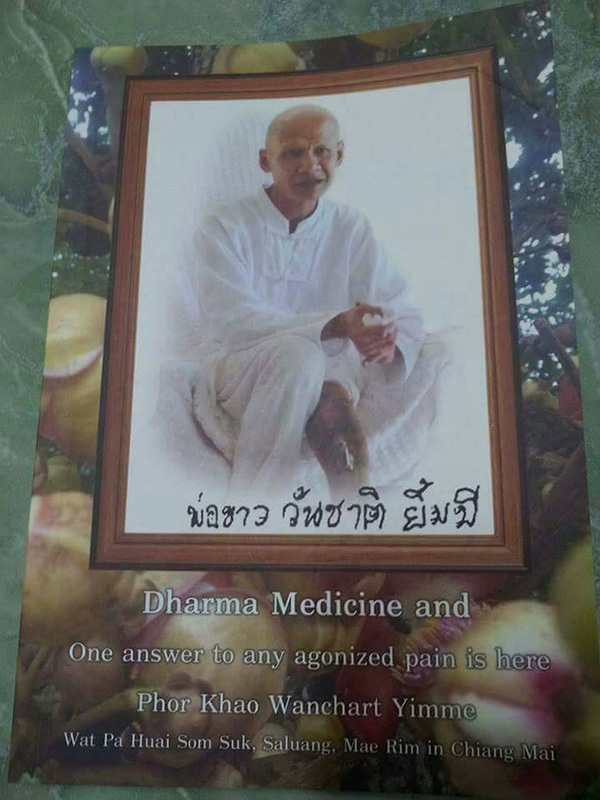 Phor Khao survived till this very day by the medicinal properties of Dhamma , using meditation as a therapy and “Bud-Dho” as his medicine. Phor Khao said it was tough, the pain is always there but now I am living in equanimity with it. 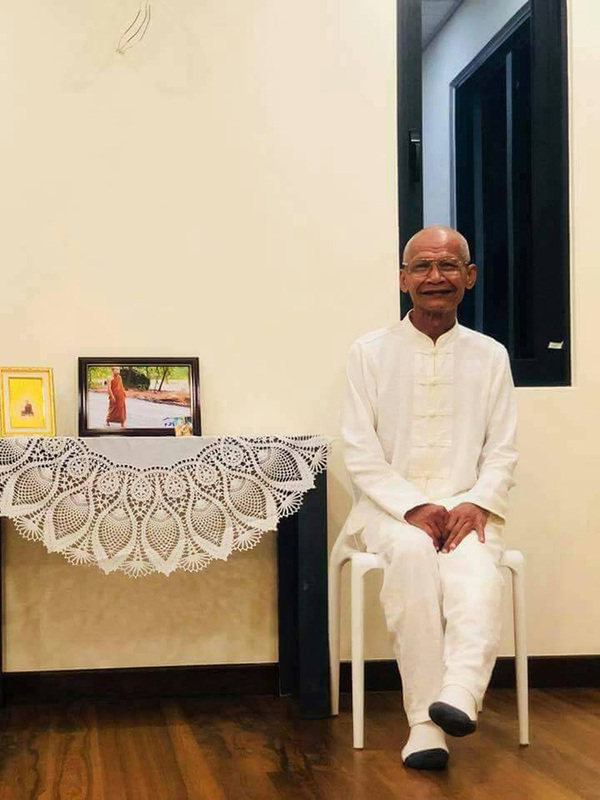 Not only did he mastered himself to weather through difficult times, he now becomes a source of inspiration and a symbol of hope that the Dhamma propounded by Lord Buddha was indeed and effective method dealing with pain both mentally and physically. 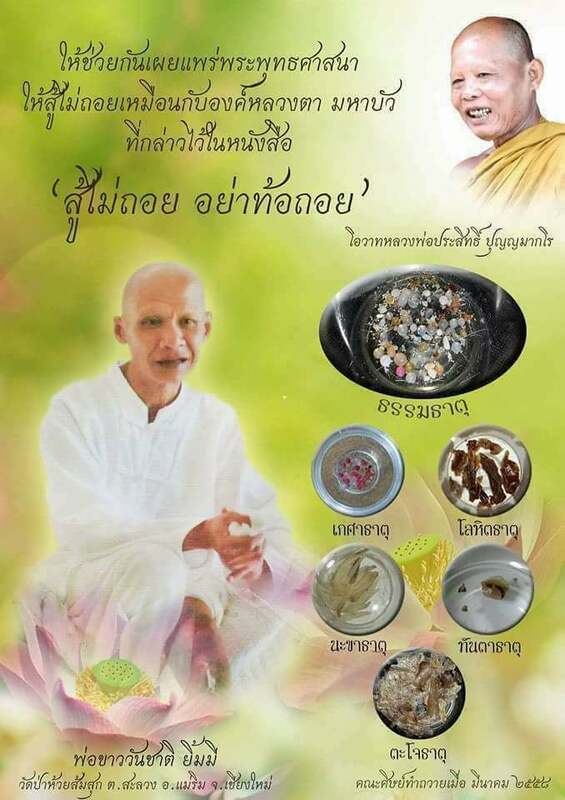 Phor has been travelling to share this Dhamma Medicine despite his handicap. But then you may say, nothing miraculous, such healing stories were here and there. Yes, true and I also agree. We all hear that when such and such a holy monk like Phra Archan Mun, Phra Archan Lee..etc ‘s body is cremated, one can find relics. That is what we believe but Phor Khao’s case, you need not believe. 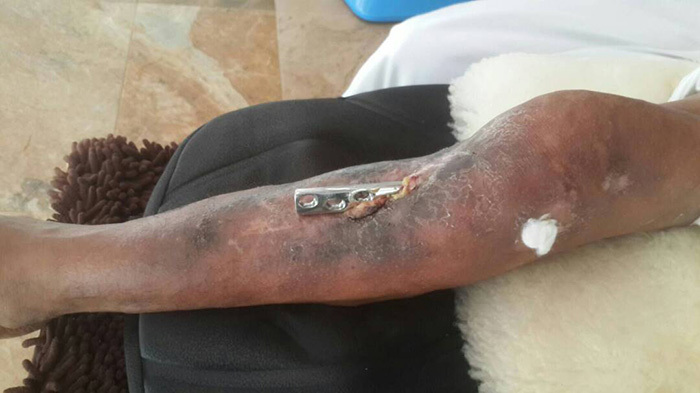 His hair, nails, skins from the wound, pus..etc if you encased it well, relics will self-appear. You don’t need to believe, you can witness it with your own eyes. 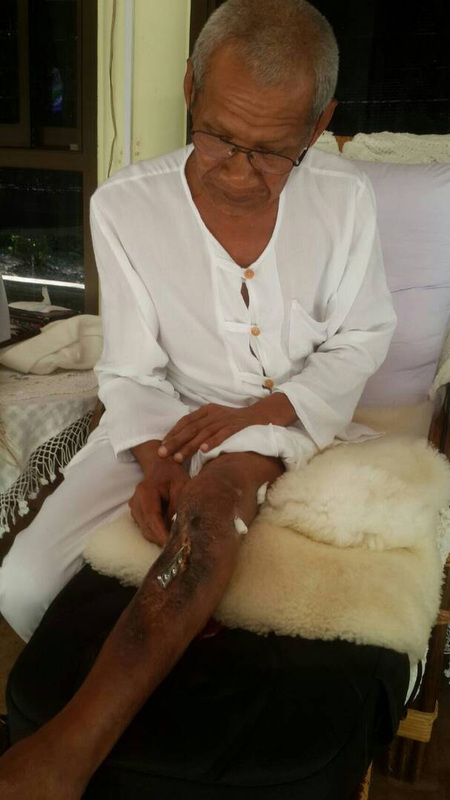 That is Phor Khao’s determination and faith in the Dhamma he living in. 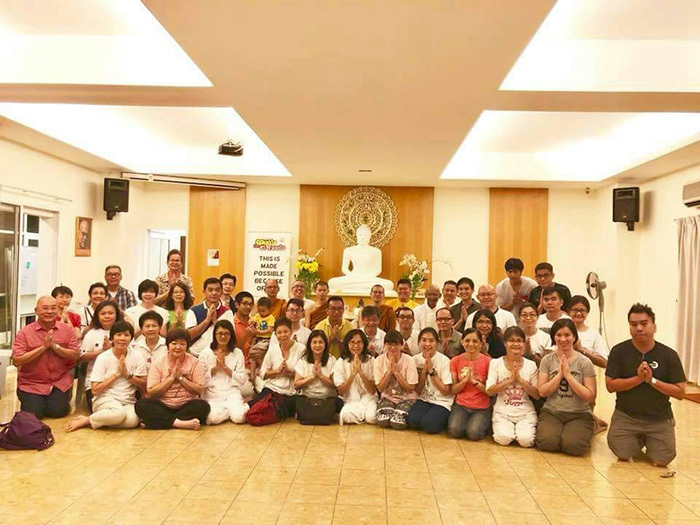 Most of the visitors was asking for Phor Khao’s advise and sharings as to how to deal with cancer and death. 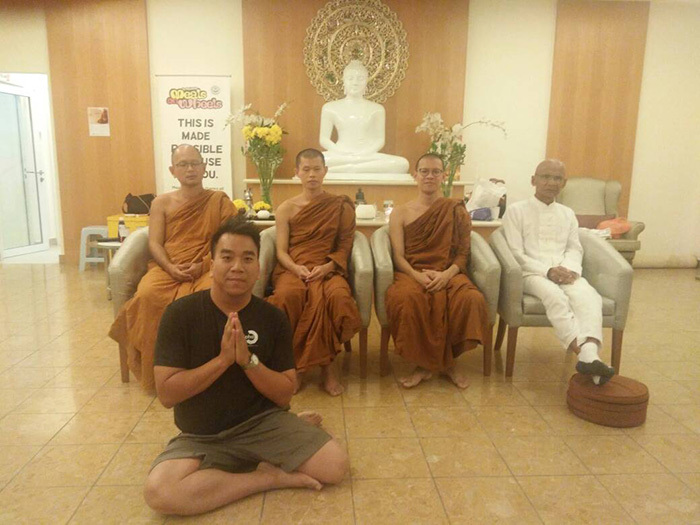 Sadhu to my Dhamma brother, Darren Hor.